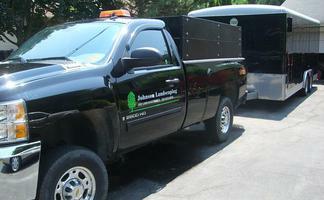 Johnson Landscaping is a full service design, construction, and maintenance company. We also provide asphalt maintenance including patching, hot crack filling, seal coating, and line striping. During the winter months, we provide snow removal and ice control to residential and commercial properties. We are a fully insured company and guarantee our work. Welcome to Johnson Landscaping Inc.